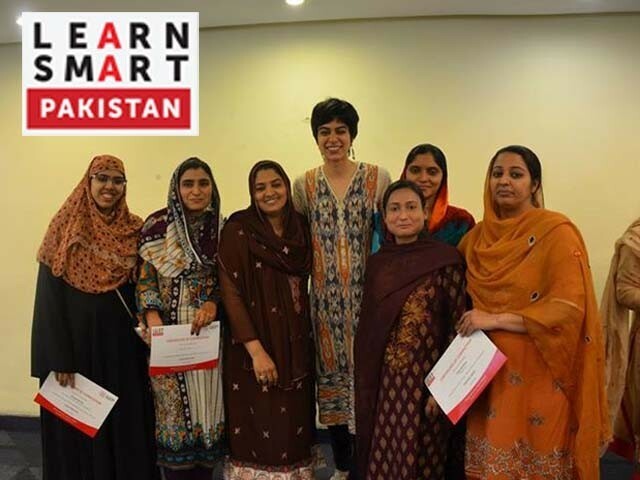 As part of our national non-profit initiative, Learn Smart Pakistan conducted two teacher boot camps to help build skills in lesson planning and learning games among selected teachers in Pakistan. The boot camp included a bonus session on online mentoring for teachers participating in the digital challenge. Data from the education sector has revealed that teachers in Pakistan are not always clear on what constitutes as a good lesson plan, and do not allocate sufficient time in developing one. According to Alif Ailaan’s report titled, The Voices of Teachers, 87 per cent of the teachers in Balochistan, 73 per cent in Khyber-Pakhtunkhwa (K-P), 72 per cent in Sindh, and 67 per cent in Punjab spend less than six hours per week on lesson planning. Data from the education sector reveals that many dropouts were because of old and archaic ways of teaching steeped in rote learning with virtually no creativity encouraged in the classroom. According to Alif Ailaan’s The State of Education in Pakistan factsheet, as many as 46 per cent of students dropout even before completing primary school. A total of 45 teachers from 20 schools and six cities attended the boot camps. The boot camps consisted of learning activities and group work in order to promote collaborative learning. The complete photography coverage of the event can be seen here. Think about what you want students to accomplish by the end of the lesson. Once you have established these objectives, plan backwards to create your lesson plan. Use behavioral verbs to write out your objectives. Describe what the lesson will be about – which topic, what concepts, and why it is relevant to your students and how it connects back to the learning objectives. List out what knowledge, information and assumptions the students must already know in order to understand this lesson successfully. Think about how you plan to get students engaged, how you will explain the concepts, and in what ways students can practice the concepts or skills. Determine what materials or equipment you will need to use. The assessment should connect to the established learning objective and should assess students on how well they have reached those objectives. Design a follow-up activity to reinforce the skills and concepts learned. This can be in the form of homework, additional reading activities, a short project, pre-reading for the next chapter and so on. Take time to reflect on how you think the lesson went. What went well? What could have gone better? What will you do differently next time? At the end of the session, teachers were encouraged to craft a practical, clear and engaging lesson plan. 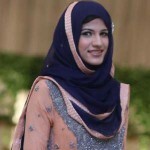 Besides Knowledge Platform instructors, the boot camp also included an external mentor, Amina Humayun Khan, a specialist in learning difficulties in literacy and dyslexia. Through a video recording, Amina shared various strategies on how to develop good lesson plans even with limited resources. Devices used to play games such as phones, tablets, computer etc. Milestones which a player has to achieve. In a learning game, the goals reflect the learning objectives. Rules or instructions help learners understand what is expected of them and how to succeed. A task that an individual must overcome in order to achieve the goals. Challenges keep payers engaged and can include a number of factors including levels of difficulty. How many players can play the game? Is it single-player, multi-player or can be launched in teams? A reward system keeps the interest of a player alive. Better the performance, higher are the rewards. Rewards can be in form of achievements, badges etc. In addition to the above components, learning game is a design to help students learn skills, expand existing concepts, reinforce learning concepts and develop understanding with practice questions. The session also discussed best practices when developing a learning game. The session included interactive activities and encouraged teachers to generate ideas for their own in-classroom games. The boot camps lasted two and a half hours each and were conducted in parallel. After the boot camps, teachers were invited to attend a bonus session of 30 minutes on Online Mentoring for the digital challenge, also part of Learn Smart Pakistan. Read more about the online learning challenge here. LSP 2015 provides ninth grade students and teachers access to quality educational resources for Mathematics and English. The content is available online for free. The digital contest will come to a close on July 12, 2015 followed by an award ceremony and education forum.